The Chicago Tribune featured the Booth Hansen designed Farm on Ogden in an article entitled Five urban farming projects in Chicago to watch in 2017. Farm on Ogden (located at 3555 W. Ogden Avenue) is a new $3.5 million urban farm conceived by the Lawndale Christian Health Center and Windy City Harvest (which is the Chicago Botanic Garden’s urban farming program). The Farm will allow Windy City Harvest to increase overall production and double its training capacity – Windy City Harvest currently grows more than 100,000 pounds of produce a year in addition to training low-income people of color how to farm. The 30,000 square foot facility will house a 50,000 gallon aquaponics system, greenhouse, store that sells the farmed produce, and a commercial kitchen for hosting cooking classes. 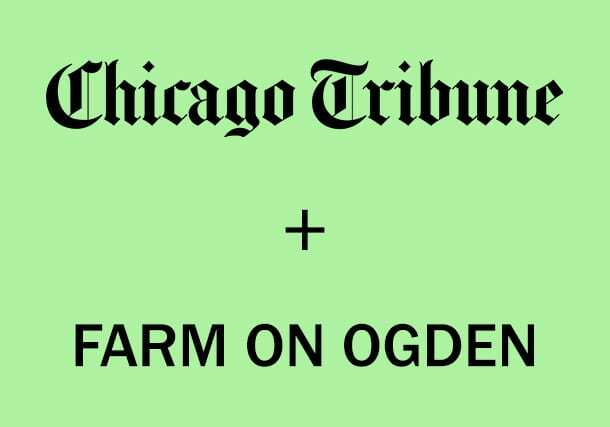 See the Chicago Tribune’s article on the Farm on Ogden here.